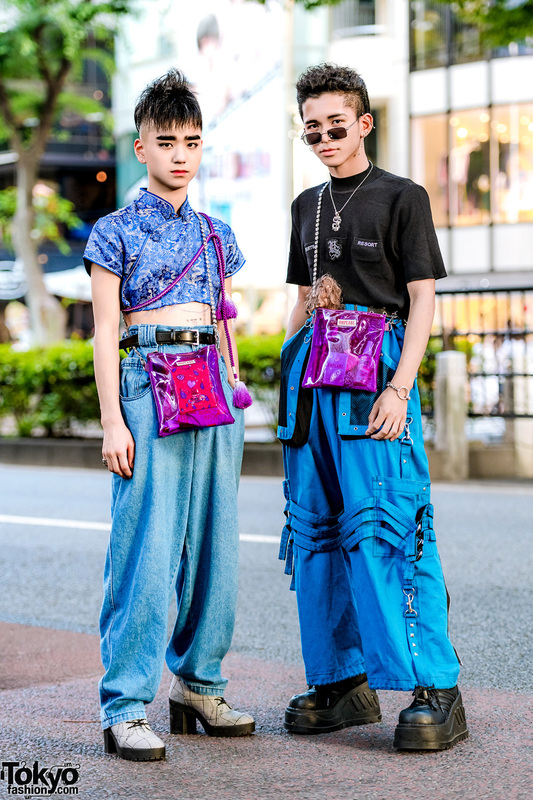 Harajuku teens wearing vintage and eclectic ensembles while out and about around the neighborhood. 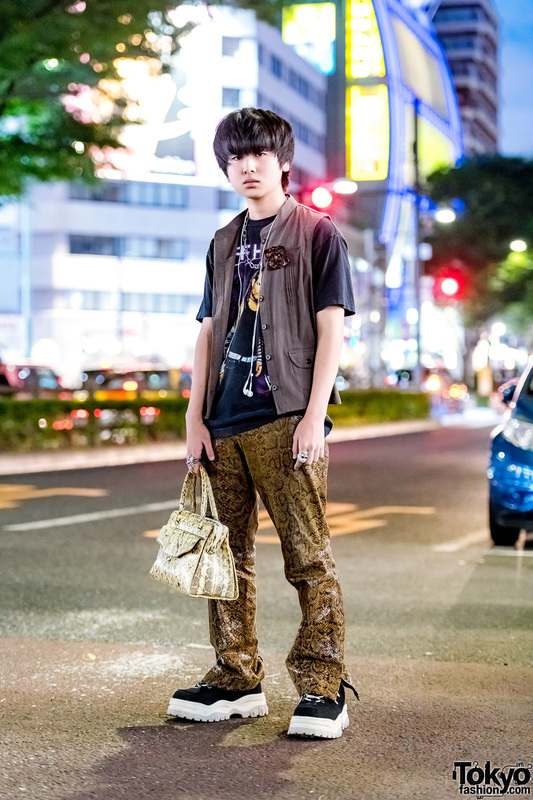 Harajuku guy sporting a snakeskin leather fashion ensemble while out and about on the street. Red-haired Harajuku girl in red and black street style while out on the street. Pop Idol Miochin on the streets of Harajuku sporting a striking aqua, red & green ensemble. 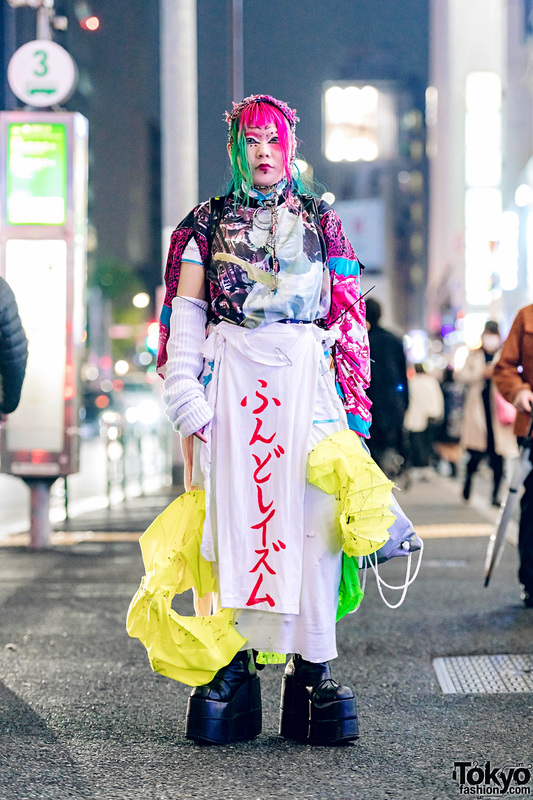 Harajuku student in a colorful avant-garde style while out on the street. 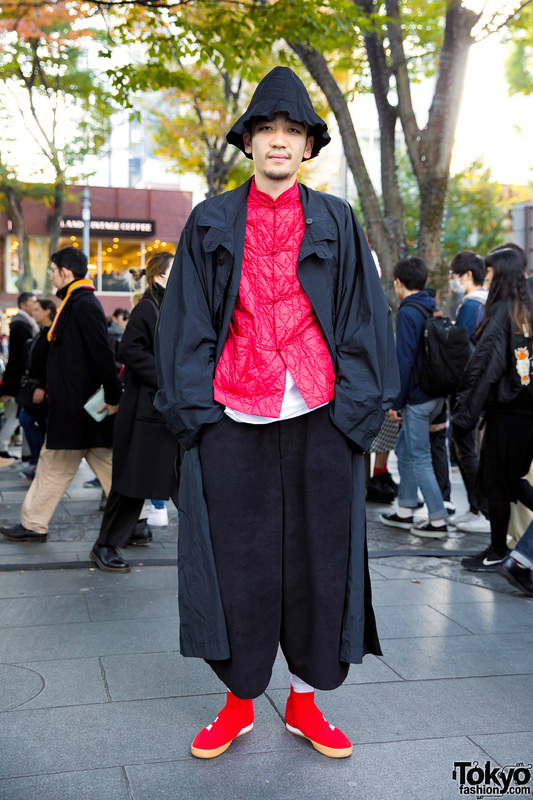 Harajuku guy in red and black Japanese streetwear look with long coat over mandarin collar shirt, wide leg pants, red sock trainers, and a pointed hat.